Sue Delbridge Sue works in the medium of stained glass. She is particularly interested in exploring glass as a canvas. Sandblasting through hand drawn stencils, scraffito and painting on glass to create her images. 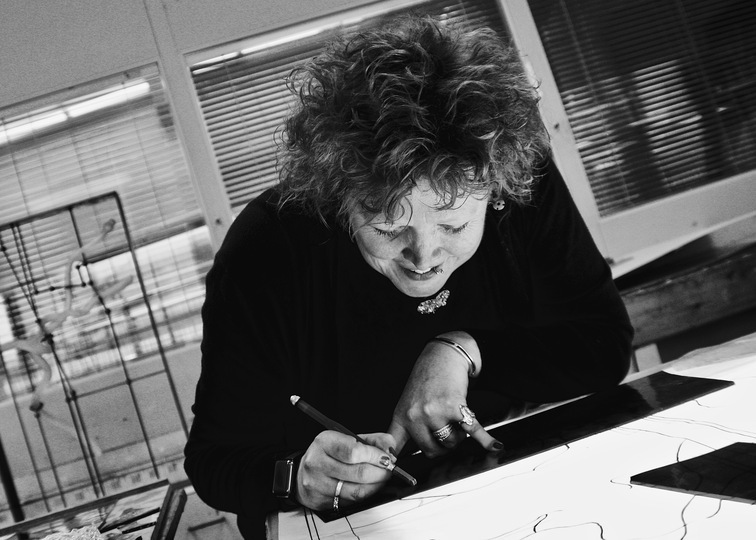 Drawing inspiration from a variety of sources including illustration, fairy tales, medieval stained glass and tapestry and tattoo art, to develop her own artistic language. 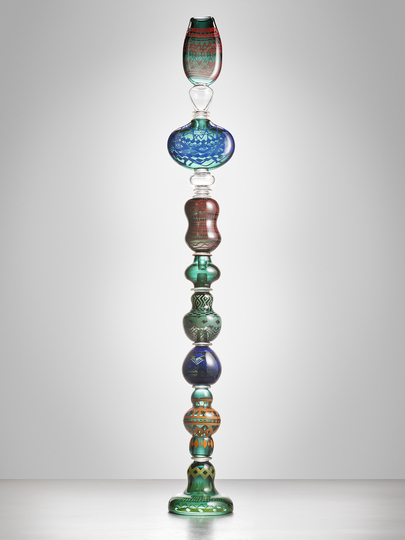 Sue uses glass to express ideas of being human for which she believes glass is the perfect medium; unpredictable, fragile, beautiful and for which the possibilities are endless. Xia Junjie Having studied in China's Jingdezhen for four years, Junjie made contact with a large number of ceramic producers. 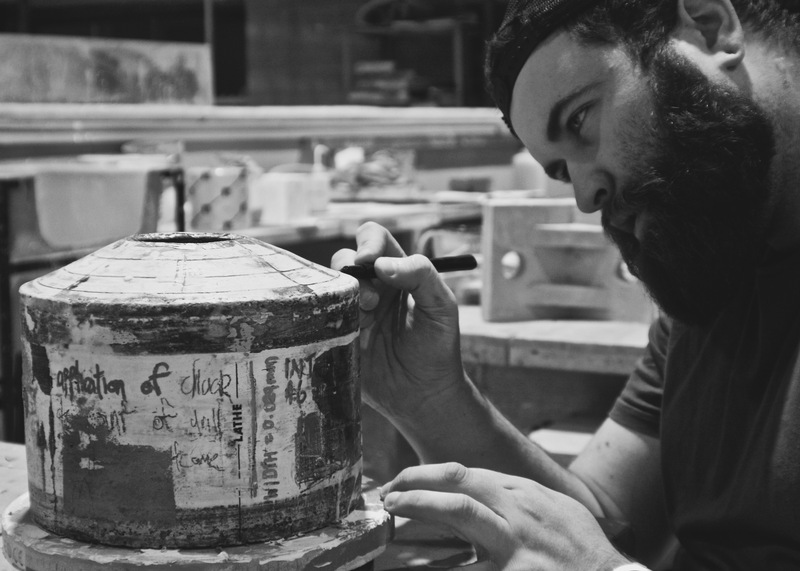 In the pursuit of precision craft, he continues to express ideas with traditional ceramics. Junjie blends his inner world into his work, combining his ambition as a child, desire, self-discipline and restraint with traditional ideas. Junjie creates an "autobiographical" series of work, allowing the audience to see into his life from his work. Focusing on a small teacup, a traditional and revered form of China. 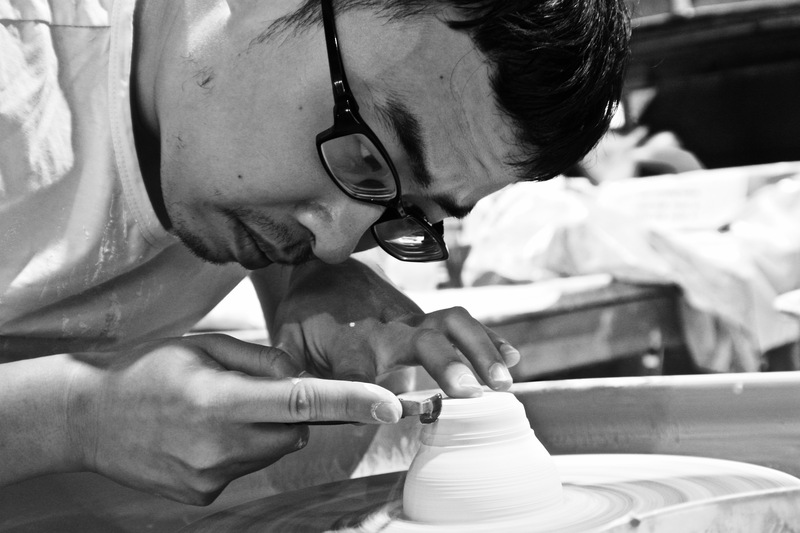 The production process of the cup is treated as a rule, a rule that Junjie attempts to break, reimagine and reassemble. Neil Edwards The interplay between crafts and civilisations is, and has always been, an integral part of human culture. In a smaller and increasingly globalised world, this phenomenon has proven to be of particular interest to Neil. Working primarily with hot glass, his work represents a reflection of his own personal history. Using traditional European glassmaking techniques together with Eastern patterns, forms and colours, his recent Graal pieces seek to create a synthesis of the diverse influences that have crossed his path in the recent past, striving to celebrate the global nature and connectivity of seemingly disparate cultures. James Douglass A social commentary of his pursuit of a skillset, James’ work denotes his family history in industry and his battle moving away from family tradition. 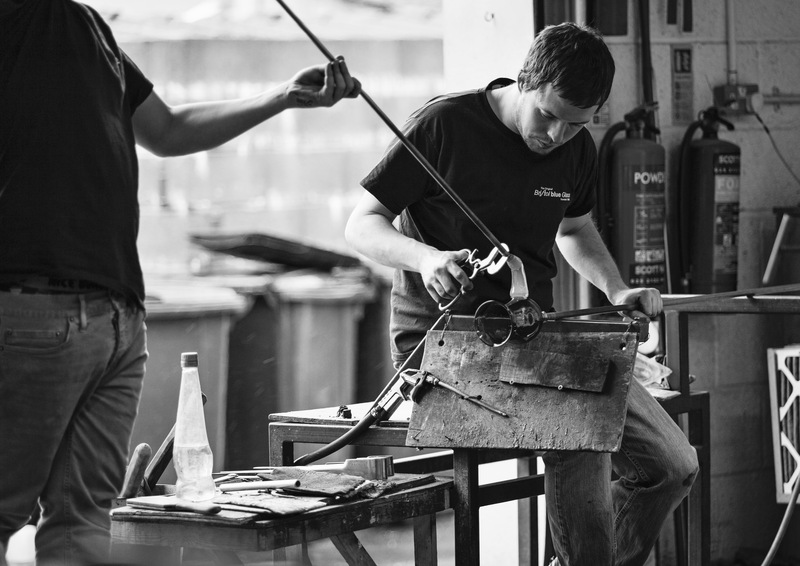 Working in clay, James references his grandfather’s work as a lathe metalworker in his forms – blanks of metal are offered to the lathe before tools carve an item through human interaction. Precision of form juxtaposes his heavily tarnished and dishevelled surface denoted from his grandfather’s pocketbook. Working in multi-layering of various mixed media to build a storied and personal form. Maria Zulueta Maria juxtaposes nature with the man-made to represent their connection and confrontation. From her observations and reflections of the natural environment, Maria aims to capture elements and qualities of nature’s aesthetics in her work. Creating a narrative to evoke a significance of natures’ transformation, transience and fragility, to recall something significant from these elements through a documentation of nature’s changes. 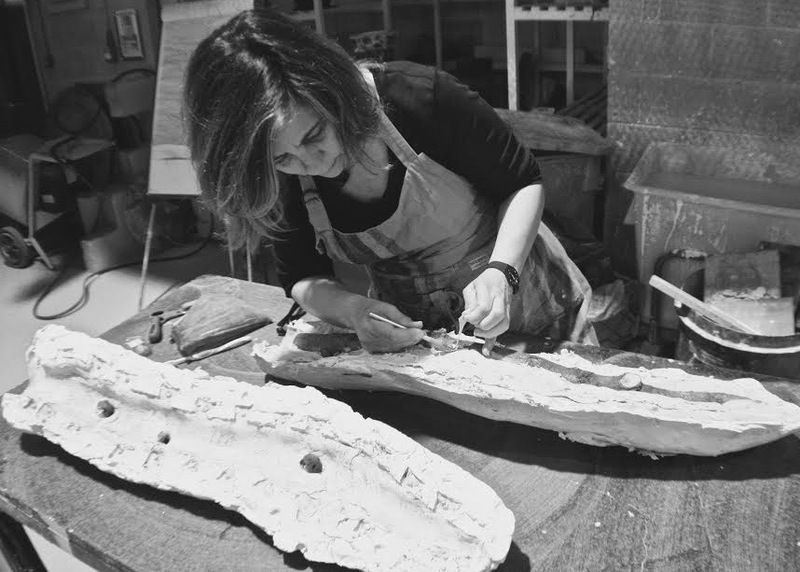 Zulueta omits herself into a continual exploration of materials and processes through an intuitive and thoughtful engagement of playful encounter of making and philosophy. 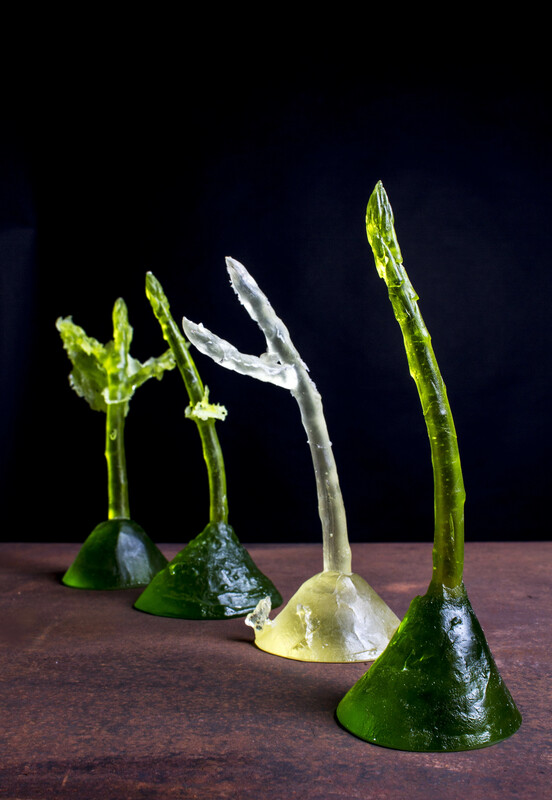 Through experimentation and testing, Maria has extended her knowledge of projection, kiln cast and lampworking glass techniques. Louis Darling Louis uses glass and steel to look at the idea of self - who we really are and when we are that self. ‘Abiuro’, Latin for ‘I recant’, is a piece which explores the transition of obvious and concealed torture devices; both mediaeval and fashion, used to punish and torture people seen to be of less worth or subversive. These implements have more recently undertaken a transformation. They have become objects of fetish and passion, reclaimed by the transgressive sub-cultures that they were designed to keep down. 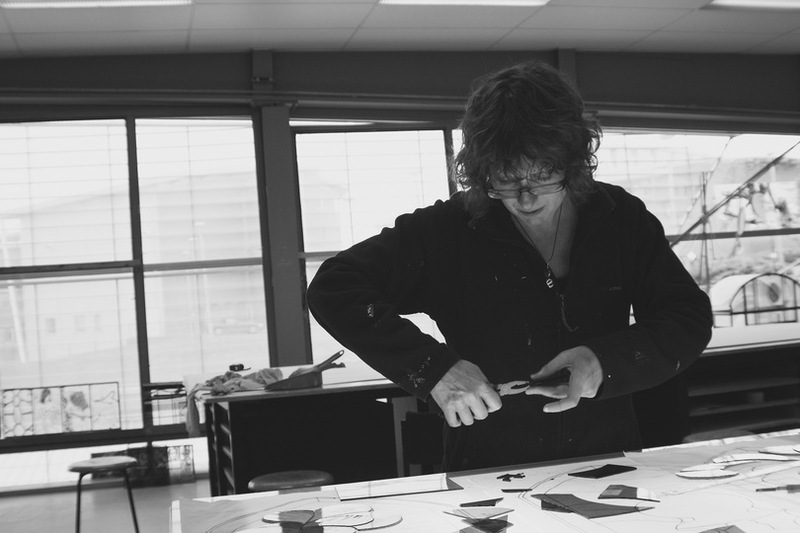 Louis investigates the concept using combinations of hand worked steel; kiln formed and water-jet cut glass.